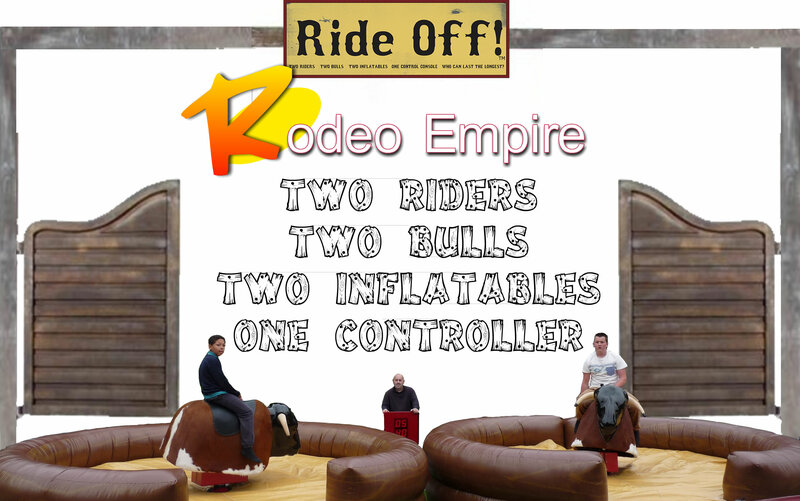 Our Ride-off system includes two Rodeo Bull units with one operator. With this system two riders are able to compete against the clock to achieve the longest rider. Ride-off creates a competitive environment whereby both riders will not want to let go. Both Rodeo Bulls will move in unison to make a fair game and increase speed until one opponent has been dismounted. We are proud to own one of the very few Ride-off systems in the UK and will happily travel throughout the North West. As you require two units this system is not available for booking on-line and can only be book via phone. A non-refundable deposit is required to secure your booking. You will require an area of 15x30ft and access to a power supply. *Delivery charge will be applicable if outside Manchester and we will deliver to the whole North West including Bradford, Leeds, Southport, Preston and all other North West areas.